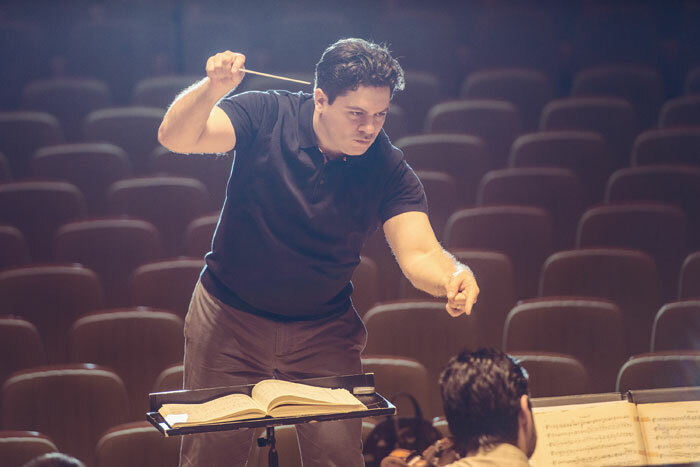 Romanian conductor Cristian Măcelaru takes up the baton at Davies Symphony Hall this week to lead the San Francisco Symphony and violin virtuoso Ray Chen in a performance of Édouard Lalo’s vibrant and tuneful Symphonie espagnole. The program also includes Richard Strauss’ lovely suite from Der Rosenkavalier, and two works which will be heard here for the first time – an orchestral work entitled Masquerade by Anna Clyne, and the World Premiere of the Suite from Kevin Puts’ opera Silent Night. Cristian Măcelaru – Music Director of The Cabrillo Festival of Contemporary Music since August 2017 – becomes the new Chief Conductor of the WDR Sinfonieorchester in Cologne next September. Described by The Herald in Scotland as having “… presence without being showy” and “…. 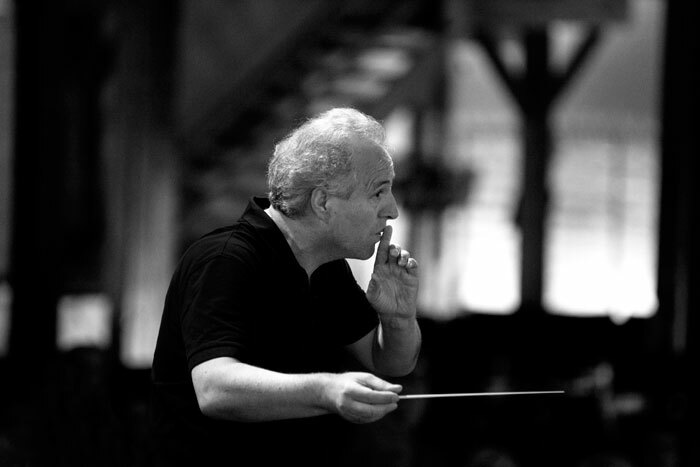 a fine sense of sweep and structure”, Maestro Măcelaru first attracted international attention in 2012, when he stepped in for Pierre Boulez to lead the Chicago Symphony Orchestra. He was awarded the Sir Georg Solti Award for young conductors that same year, and in 2014 was honored with the Solti Conducting Award. 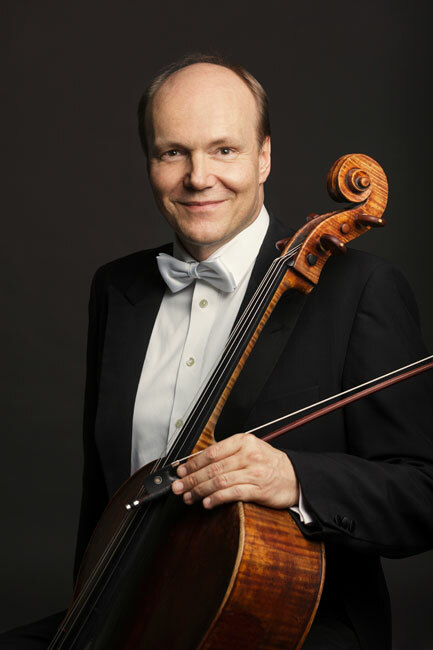 Enjoying a particularly close collaboration with the Philadelphia Orchestra, where he was Conductor in Residence for three years, Cristian Măcelaru has also guested for the Chicago Symphony Orchestra, the New York and Los Angeles philharmonics, the Cleveland Orchestra, and now the San Francisco Symphony. In Europe, he has led the Symphonieorchester des Bayerischen Rundfunk, Royal Concertgebouw, Dresden Staatskapelle, Leipzig Gewandhausorchester, the City of Birmingham Symphony Orchestra, Rotterdam Philharmonic Orchestra, Orchestre Philharmonique de Radio France and the Danish National Symphony Orchestra. Among the highlights of Maestro Măcelaru’s 2018-2019 season are his celebration of Romania’s centennial, bringing the National Symphony Orchestra of Romania on their first-ever visit to the United States – a 7-city tour which culminates at New York’s Jazz at Lincoln Center in performances with Wynton Marsalis and the Jazz at Lincoln Center Orchestra. Very much a 21st century musician with his huge online following, Ray Chen has what The Huffington Post described as “…. the kind of liquid tone that carries with it emotional depth of great intimacy”. His international career took off when he won the Yehudi Menuhin Competition in Cardiff in 2008, following which he was invited by Russian violinist Maxim Vengerov to appear with the Mariinsky Theatre Orchestra in St Petersburg. Ray Chen also won the Queen Elisabeth Competition in Brussels in 2009, and since then has made a name for himself across Europe, Asia, the USA and Australia, appearing with ensembles such as the Royal Flemish Philharmonic, and the Orchestra Philharmonique du Luxembourg, the Taipei Symphony, Orchestre National de Lille, Deutsche Symphonie-Orchester Berlin, the Sydney Symphony Orchestra, the Orchestra Filarmonica della Scala, Münchner Philharmoniker, Swedish Radio Symphony Orchestra, Hong Kong Philharmonic Orchestra and National Orchestra of Spain . 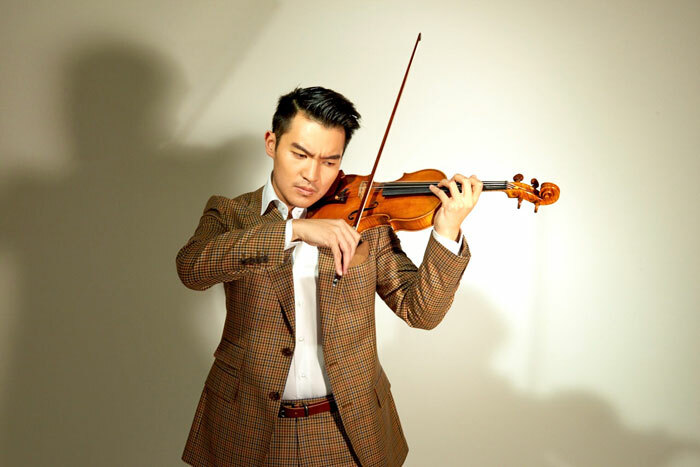 Labelled as “one to watch” by The Strad and Gramophone magazines, Ray Chen has featured in the Forbes list of the 30 most influential Asians under 30, appeared in the TV series Mozart in the Jungle, and performed at events such as the 2012 Nobel Prize Concert in Stockholm – which was telecast across Europe – the 2015 Bastille Day Concert de Paris, and at BBC Proms concerts in 2016 and 2018. French composer Édouard Lalo wrote his Symphonie espagnole for the brilliant Spanish violinist Pable de Sarasate, in a tribute to both Sarasate’s nationality and is own Spanish heritage. Although the work has elements of a symphony about it, it’s really a suite of five movements which Sarasate played for the first time in Paris, on February 7th, 1875 – a time at which Spanish-style music was much in fashion, due to the popularity of Bizet’s opera Carmen. It’s a delightful work, melodic and passionate – a perfect vehicle for Chen’s impressive talent. This week’s concerts open with Masquerade by London-born Anna Clyne, a Grammy-nominated composer of acoustic and electro-acoustic music, described by The New York Times as a “composer of uncommon gifts and unusual methods”. Her work often includes collaborations with choreographers, visual artists, filmmakers and musicians worldwide. Masquerade was commissioned by the BBC, and first performed at the 2013 Last Night of the Proms by the BBC Symphony Orchestra under conductor Marin Alsop. Kevin Puts’ opera, Silent Night, with a libretto by Mark Campbell, was based on the 2005 film Joyeux Noel. 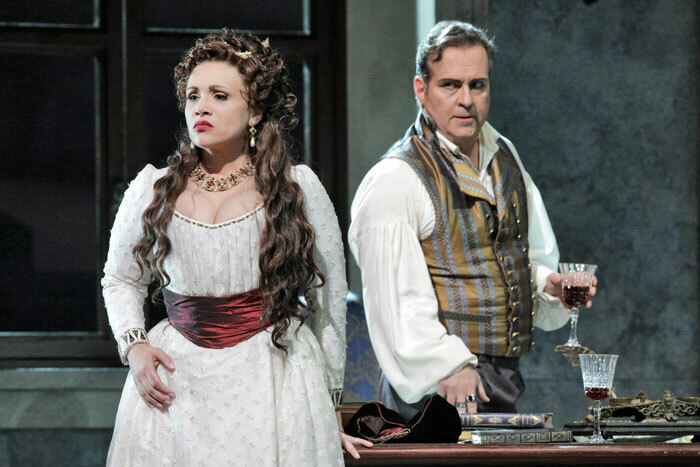 It was premiered by Minnesota Opera in November 2011, won the composer the 2012 Pulitzer Prize, and has been described by The New York Times as “exhilarating and compelling”. A multi-award-winning composer, Puts already has two operas, four symphonies and several concertos in his portfolio, works which have been commissioned, performed and recorded by leading orchestras, ensembles and soloists around the globe. The orchestral Suite from the opera, which has its World Premiere in these concerts, was commissioned by the San Francisco Symphony and co-commissioned by the Indianapolis and St Louis Symphonies. The program ends with another orchestral Suite from an opera – this one from Richard Strauss’ much-loved work, Der Rosenkavalier. Despite the popularity of the opera, Strauss was apparently not keen on creating a suite from the score, but in 1924, his librettist, Hugo von Hofmannsthal, who was involved in plans to make a film of Der Rosenkavalier, persuaded Strauss to provide a score for the film, using music from the opera. Unwilling to take on a new project, Strauss allowed Otto Singer and Karl Alwin to arrange the music for the film, paving the way for other sanctioned arrangements – as well as some which weren’t. In 1934 and 1944 Strauss himself arranged his own version of the waltz sequences from the score, but the best-known suite was made by an anonymous arranger, which Strauss eventually approved in 1945, and it’s this interpretation that the Symphony plays at this week’s performances. 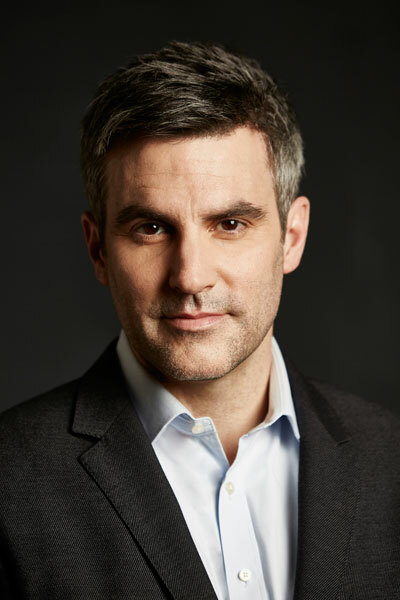 Cristian Măcelaru leads the San Francisco Symphony, with guest artist Ray Chen, in music by Édouard Lalo, Richard Strauss, Anna Clyne and Kevin Puts, at Davies Symphony Hall from October 25th to 27th. For more information and tickets, visit the San Francisco Symphony website. 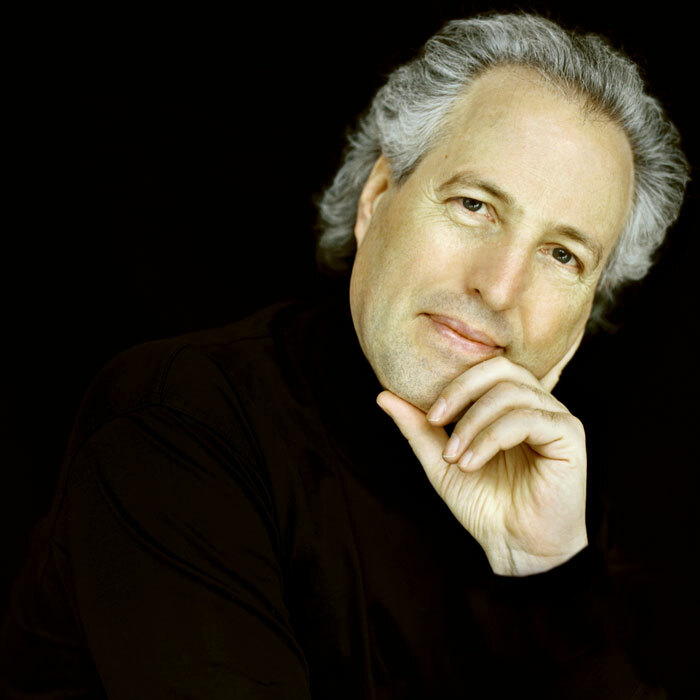 German conductor, Marc Albrecht, noted interpreter of Strauss operas, leads the San Francisco Opera Orchestra, Chorus and cast, in his debut performance in the United States this week, directing the Company’s new production of Richard Strauss’ romantic opera, Arabella. 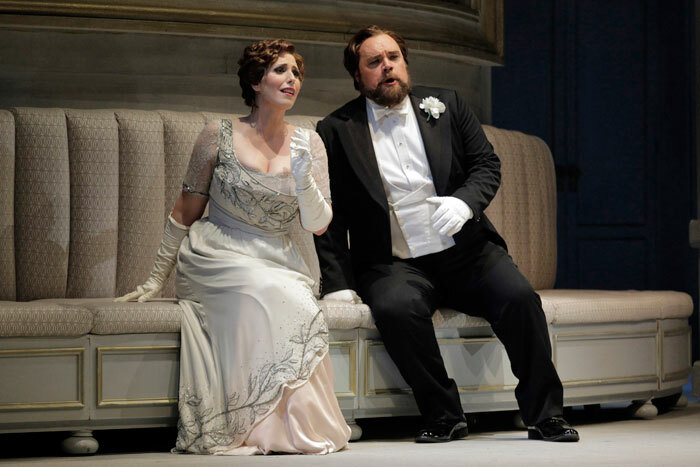 This tale of love, mistaken identity and near-catastrophe, stars soprano Ellie Dehn in her role debut as Arabella, the beautiful girl whom it is hoped will marry well and save her family from poverty. 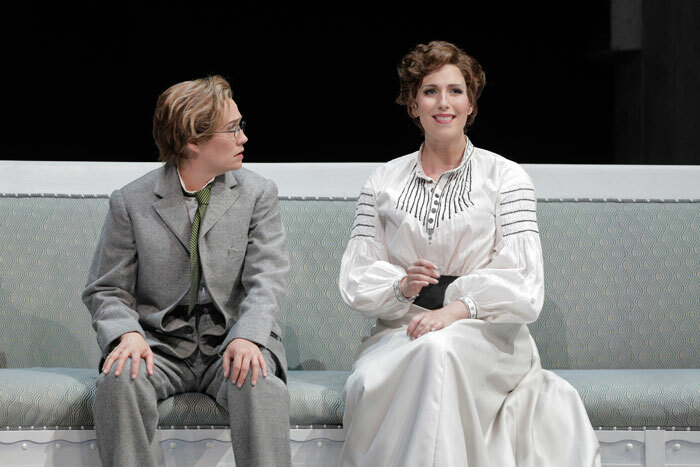 Soprano Heidi Stober is her sister Zdenka, forced to take on the identity of a brother in order to help the family finances, and Swedish tenor Daniel Johansson – in his Company debut – is Matteo, the object of Zdenka’s desire. Baritone Brian Mulligan makes his role debut as Count Mandryka. Chief Conductor of the Dutch National Opera in Amsterdam, the Netherlands Philharmonic Orchestra and the Netherlands Chamber Orchestra, Marc Albrecht is highly regarded as a conductor of the late Romantic German and Austrian repertoire, yet he also covers the entire spectrum from Mozart to contemporary music. 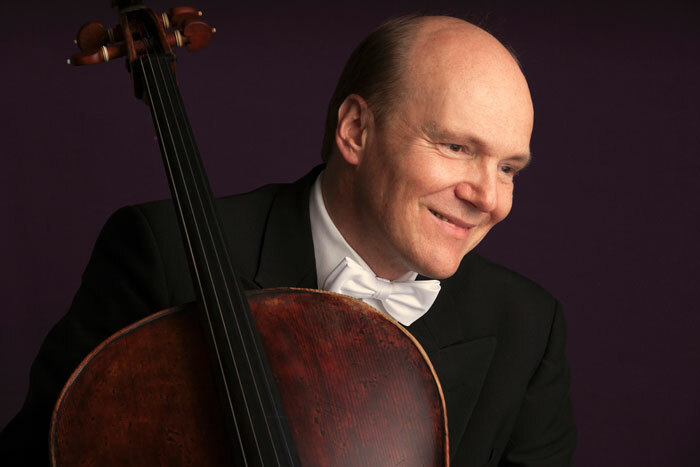 Maestro Albrecht is a regular collaborator with Milan’s Teatro alla Scala and Deutsche Oper Berlin, and has led most of Strauss’ stage works in Dresden, where more than half of the Strauss operas were premiered. Albrecht’s engagements for this 2018/19 season include appearances at The Royal Opera House, Covent Garden, and the Hessische Staatstheater in Wiesbaden. Production of Arabella is by English stage director, Tim Albery, making his San Francisco Opera debut, who updates this Viennese love story from 1860 to the period just before World War I. Albery’s international work includes Berlioz’s Les Troyens and Wagner’s Tannhäuser for Lyric Opera of Chicago, Britten’s A Midsummer Night’s Dream and Lehár’s The Merry Widow for Metropolitan Opera, Verdi’s Don Carlo for Washington National Opera / Opera Philadelphia, Verdi’s Simon Boccanegra and Strauss’s Ariadne auf Naxos for Bavarian State Opera, Berlioz’s Benvenuto Cellini for Netherlands Opera, and Catalani’s La Wally for the Bregenz Festival. 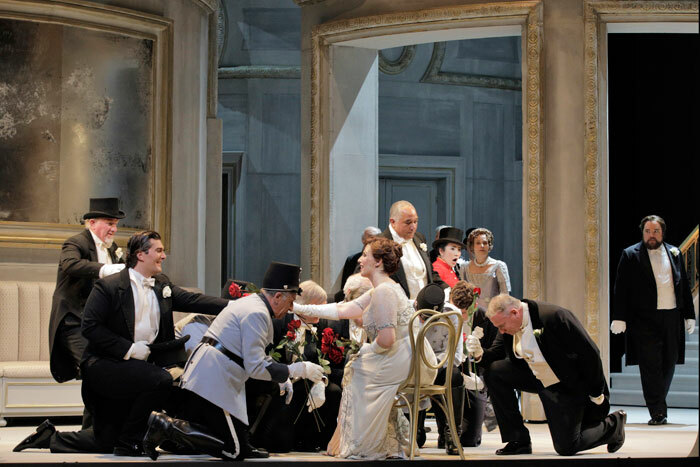 Arabella represents the final collaboration between Richard Strauss and librettist Hugo von Hofmannsthal, who together produced a number of operas between during the first part of the 20th century. The most successful of these were Elektra in 1909, Der Rosenkavalier in 1911 and Die Frau one Schatten in 1910. Towards the end of the 1920s, Strauss was keen to repeat the formula, urging von Hofmannsthal to collaborate with him on “a second Rosenkavalier”, and although a degree of tension had existed between the two artists for a number of years prior to this, von Hofmannsthal nevertheless complied with Strauss’s request and started work on a libretto for Arabella in 1929. By July, the first act had been completed, and the following two had been provisionally set, but the librettist died suddenly that month, and Strauss was so deeply affected by the loss of his friend and collaborator, that he put the work aside, and didn’t return to it until 1932, leaving the second and third acts as von Hofmannsthal had left them. 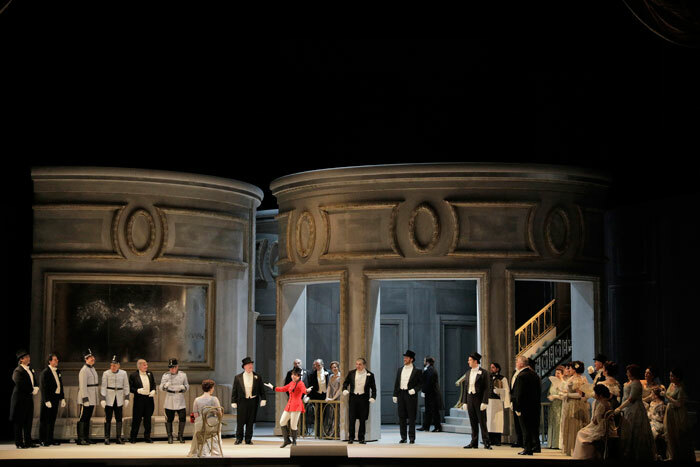 Arabella premiered at Semperoper in Dresden in 1933. The story of Arabella revolves around the need of the heroine’s family for her to marry a wealthy man. Nevertheless, she longs for true love, convinced that she’ll know when the right man comes along. Arabella’s father invites his old friend Count Mandryka to visit Vienna, in the hope that a match can be made with Arabella. To the father’s surprise, however, the man who arrives is the old Count’s nephew, who has inherited his uncle’s wealth and title following his death. Arabella does indeed fall for the young Count, as he does for her, but a case of mistaken identity – involving a plot by Zdenka to gain the attentions of the young officer Matteo – almost destroys Arabella’s chances. For a time it appears as though her hopes of love will be dashed, but finally her sister confesses, and amidst her apologies and explanations, the mystery is finally unraveled. 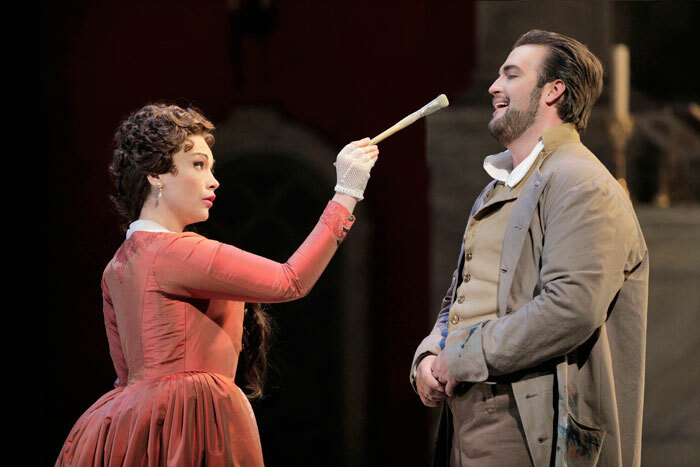 Korean soprano Hye Jung Lee, in a role debut, is the Fiakermilli, Count Waldner is sung by baritone Richard Paul Fink, and mezzo-soprano Michaela Martens is Adelaide. 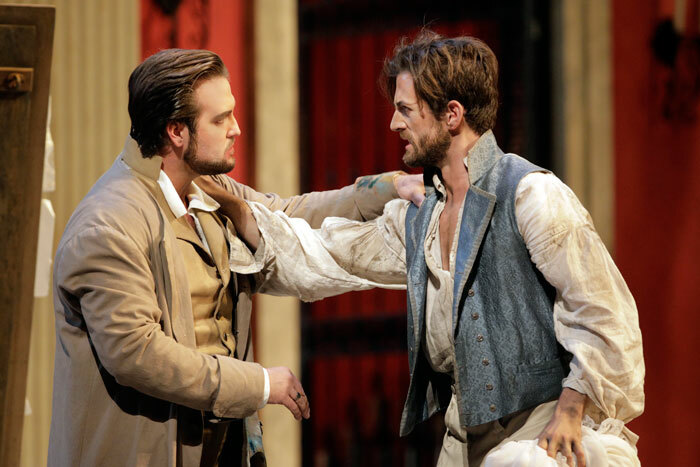 Tenor Scott Quinn takes the role of Count Elemer, Andrew Manea is Count Dominik, Christian Pursell is Count Lamoral (both are current Adler Fellows) and mezzo-soprano Jill Grove is the Fortune-Teller. Sets and costumes are by production designer Tobias Hoheisel and the lighting designer is David Finn. 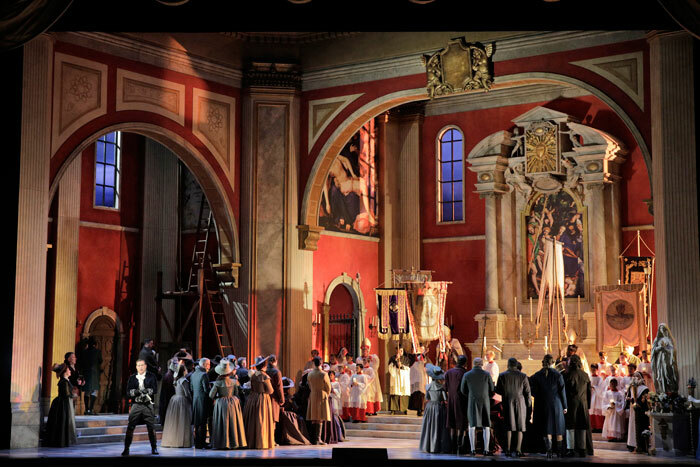 Marc Albrecht leads the San Francisco Opera Orchestra, Chorus (director Ian Robertson) and cast in this co-production with Santa Fe Opera, Minnesota Opera and Canadian Opera Company. Arabella – sung in German with English supertitles – runs from October 16th to November 3rd at the War Memorial Opera House. 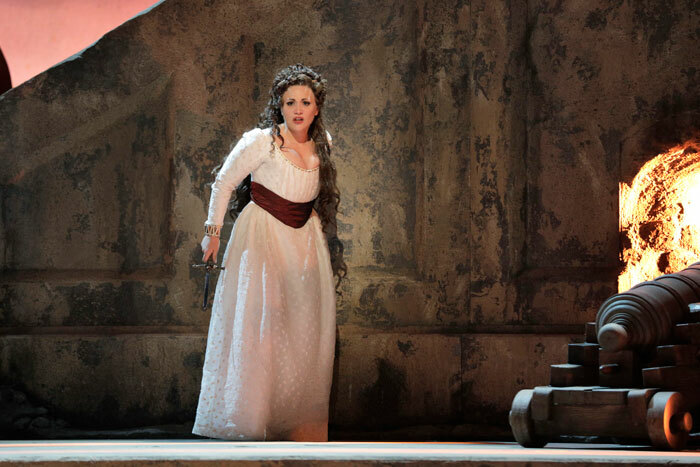 For more information and tickets, visit the San Francisco Opera website.